This Strongway™ Drum Spike Aerator is a lawn roller that helps you create a beautiful landscape or level field. The unit has a 14in. dia. 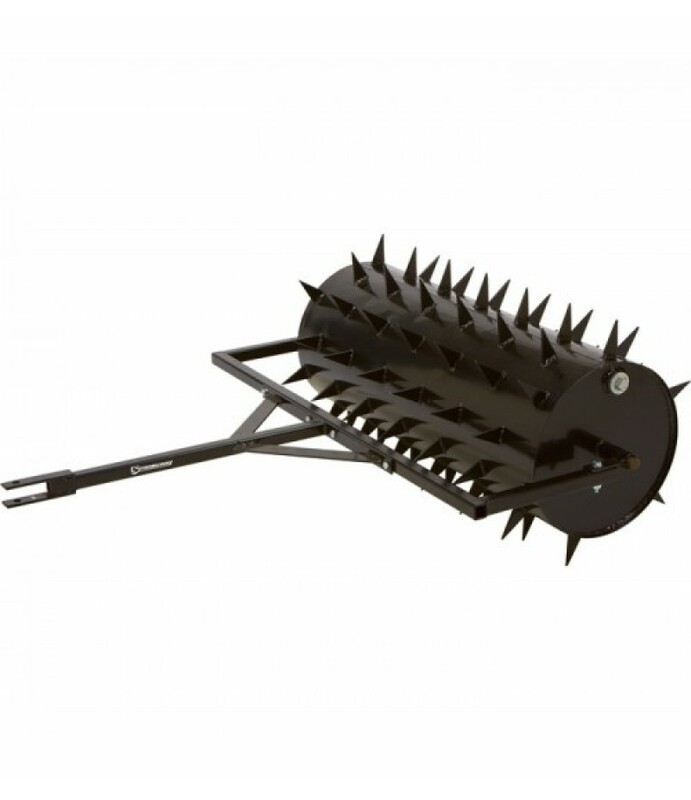 drum featuring 3in.L spikes that penetrate into the ground, aerating while rolling for turf .. This Strongway™ Drum Spike Aerator is a lawn roller that helps you create a beautiful landscape or level field. The unit has a 14in. dia. drum featuring 3in.L spikes that penetrate into the ground, aerating while rolling for turf that is level and consistent. A great choice for aerating hard, compacted soil or clay to get water and nutrients to the roots of plants or grass. Fill the drum with water to achieve the desired weight and create a heavy, flattening drum roller that has spikes to aerate at the same time you flatten, keeping your lawn healthy and looking good.